Sing along to new favorites and revitalized classics with our talented contemporary worship team, led by Peter Verdell. At 11 am, contemporary and traditional services meet together in the Sanctuary to hear an inspiring message from Pastor Kevyn. Enjoy traditional worship service with hymns and music from our gifted choir, led by Vivian Rude. Our nursery and preschool open at 10 am so you can sign your children in and enjoy fellowship before service. Children attending children's church, middle school, and high school services are encouraged to join us in the sanctuary for worship. They will be dismissed to their rooms at 11 am. For infants and toddlers up to two years old. Supervised by our licensed Nursery Director. For children three years old through kindergarten. Prepared curriculum for each age group. Meet in the room that joins our nursery. Children meet in Room 4 for a prepared curriculum put together by our Christian Education team. At 11am, adults meet in the Sanctuary to hear a message from Pastor Kevyn. Pastor Kevyn, a strong, biblical preacher, offers in-depth teaching of various books and topics of the Bible. Read more about our Pastor or watch past sermons online. A la 1pm, tenemos un servicio en español en el Santuario. We have a lot going on before services start on Sunday mornings. At 9:30 am, join us for Adult Sunday School in the Conference Room. 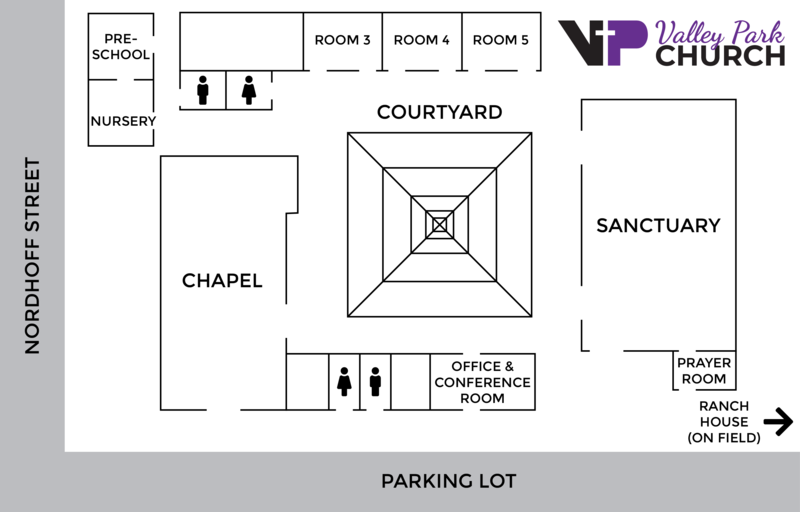 You can also join us for fellowship in our spacious, welcoming courtyard.